It took a while, but Facebook finally succumbed to the hashtag in June 2013. Now this humble little symbol can connect conversations on Twitter, Facebook, Tumblr, Instagram, Google+ and Pinterest. 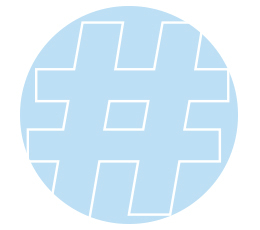 Its impact on modern culture — even on our language — is so large that the American Dialect Society declared “hashtag” as Word of the Year in 2012. But try explaining hashtags to someone who has never used them — it isn’t as easy as you might think. So welcome, class, to #Hashtagology 101. Settle down and open your textbooks. Please stop talking in the back — after all, that’s what the hashtag is for.